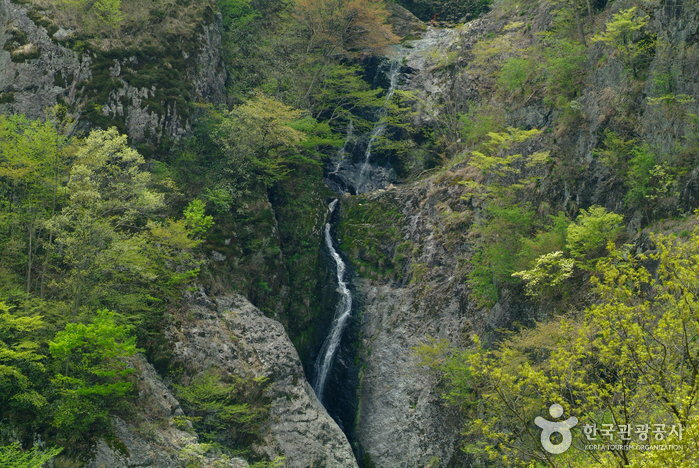 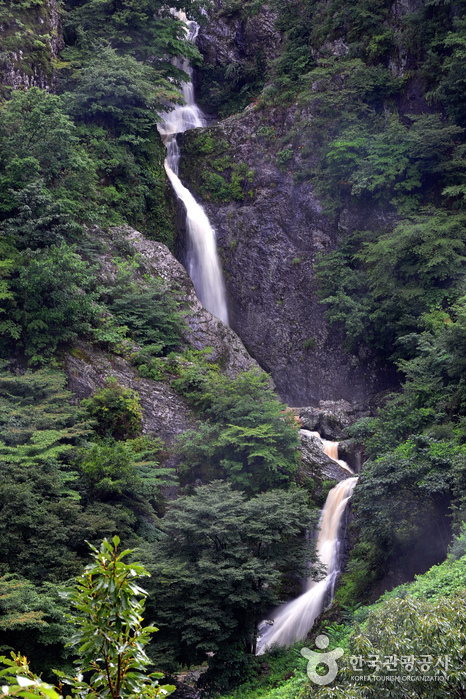 Located in the eastern section of Wibongsanseong Fortress, Wibongpokpo Falls is a two-tiered waterfall measuring 60 meters high. 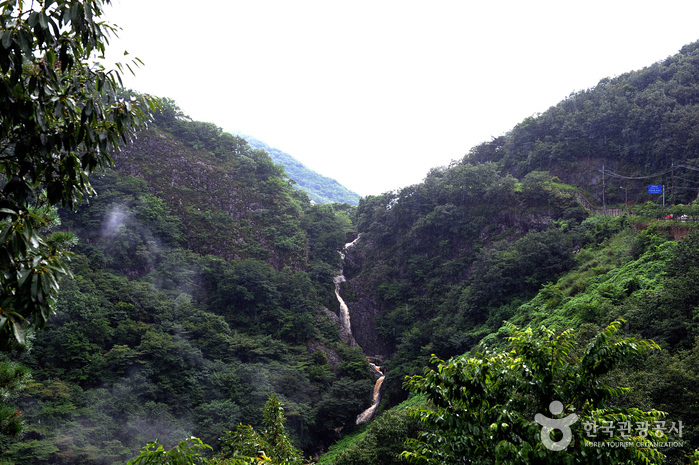 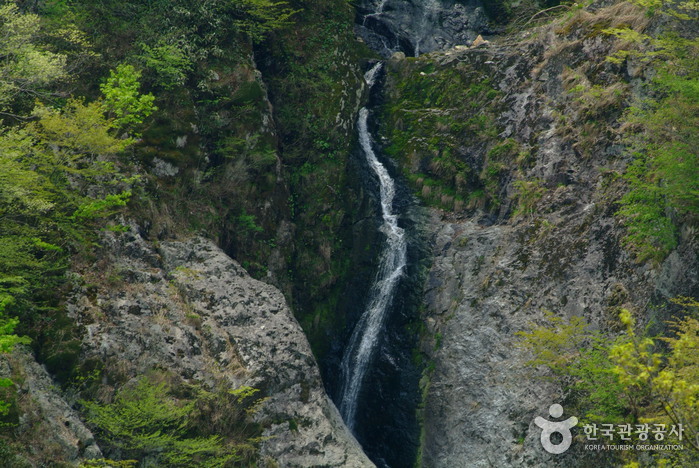 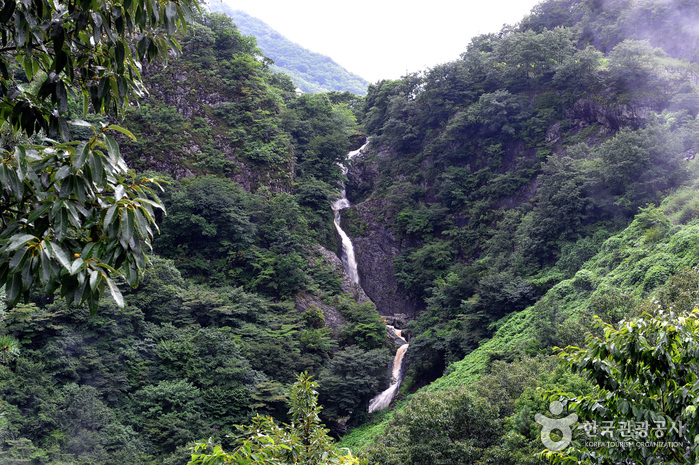 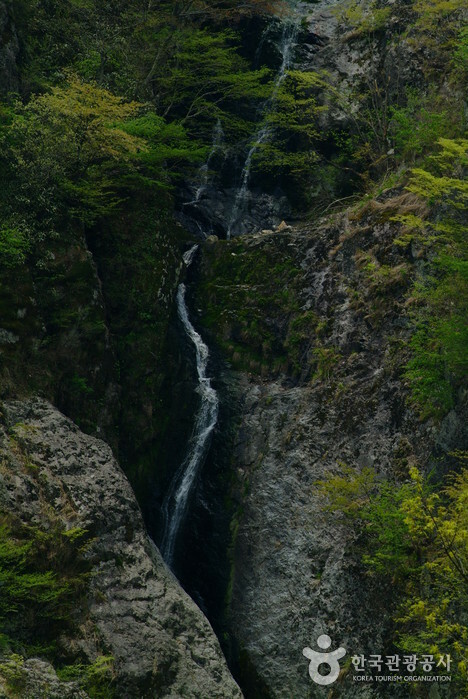 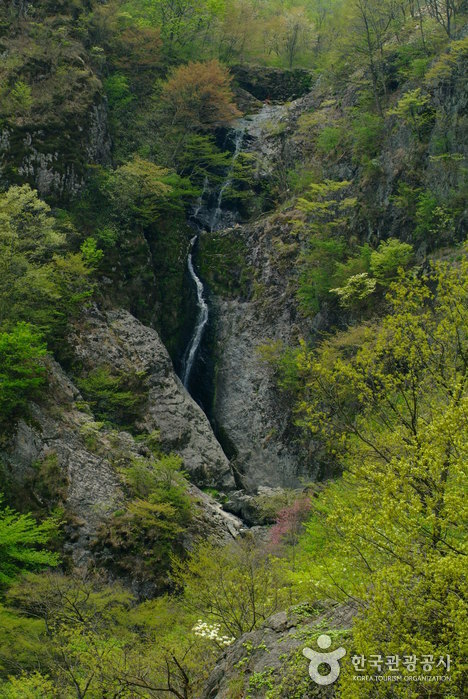 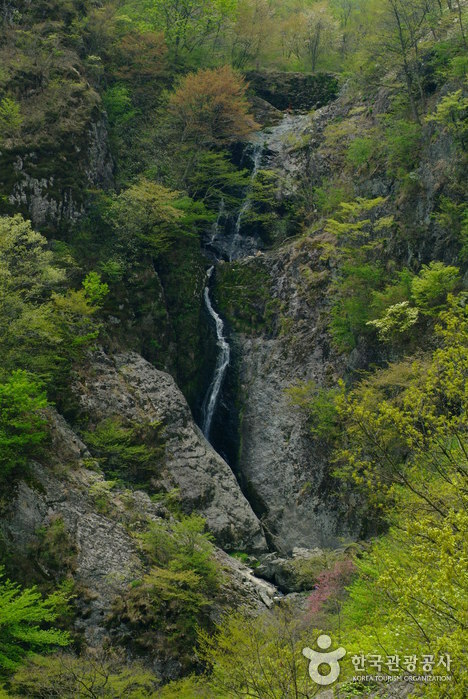 The strangely-shaped rocks and thick groves of trees that border the cascading falls make for such a magical scene that it comes as no surprise that the waterfall has long since been counted as one of the Eight Splendid Landscapes of Wansan. 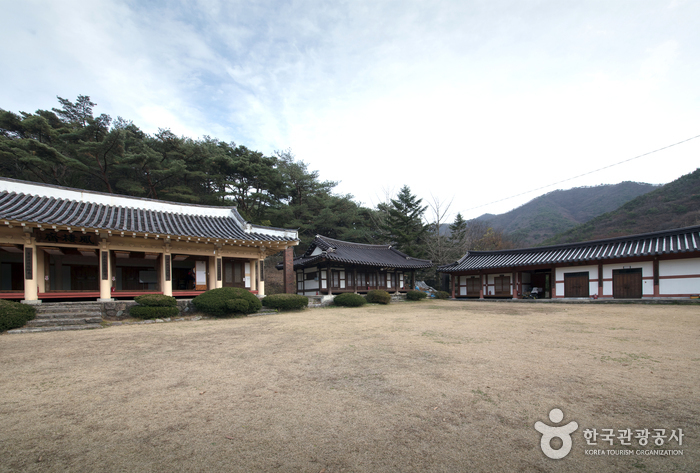 Located nearby is the battlefield of the Ungchi War (designated as regional monument of Jeollabuk-do, No. 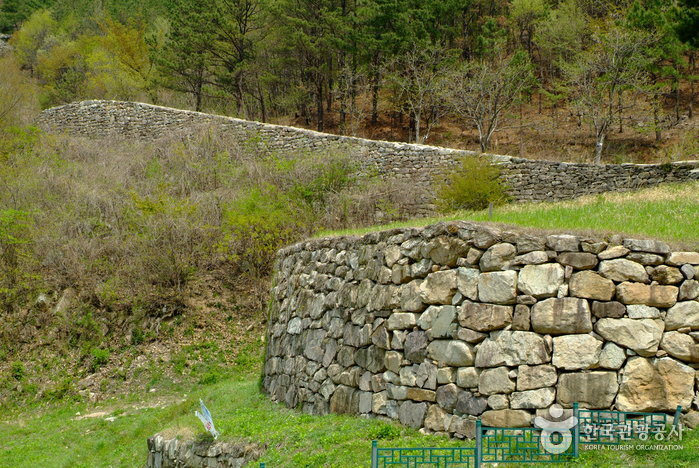 25) where the local people fought fiercely against Japanese invaders during the Imjin War. 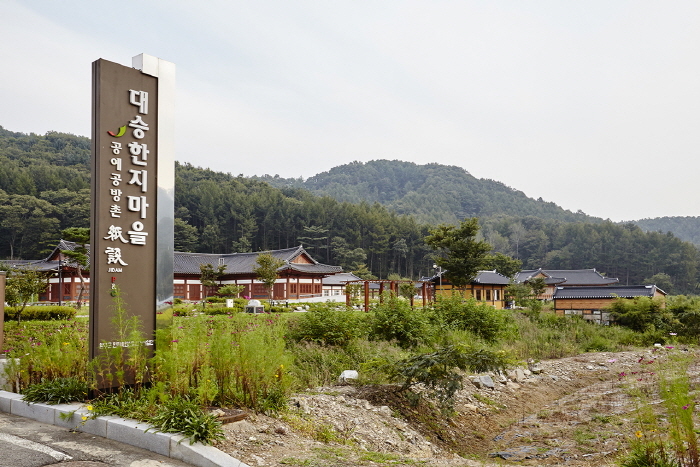 Also in the area are Songgwangsa Temple (at the foot of Jongnamsan Mountain), Dongsang Reservoir, Daea Reservoir, and Hwasim Hot Springs. 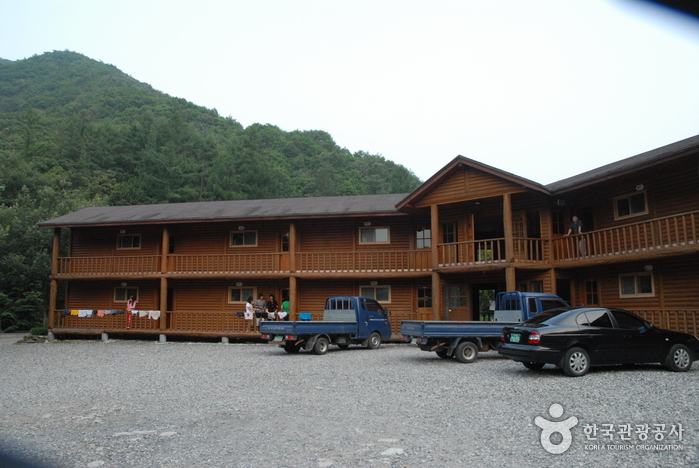 From Jeonju, take local bus no. 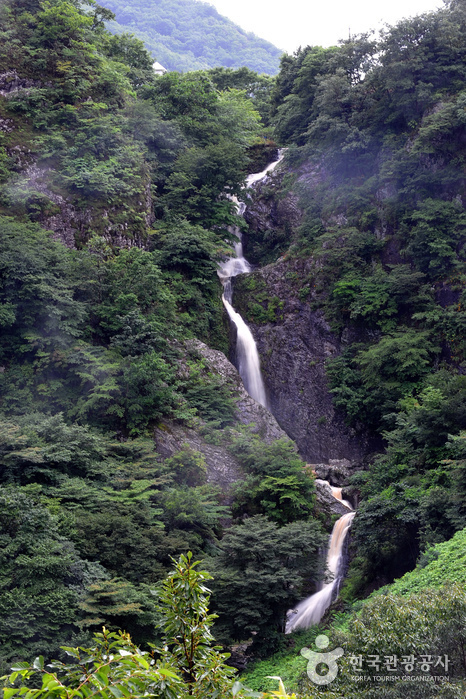 806 and get off at Wibongpokpo Falls. 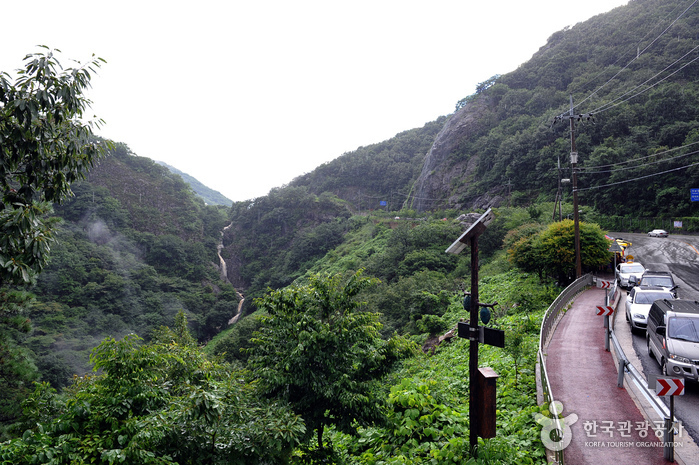 Or, take bus no. 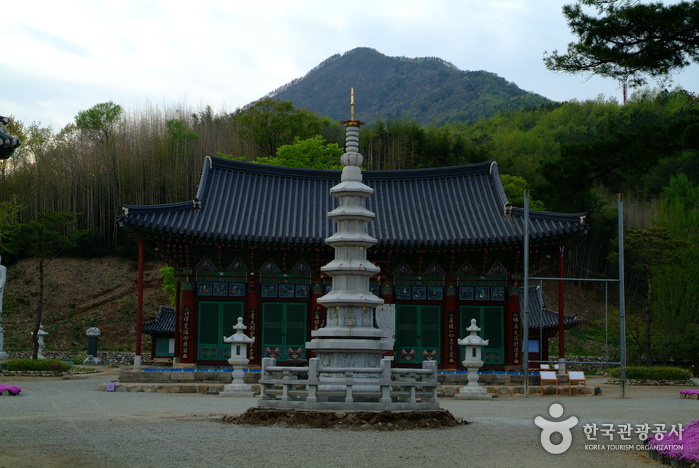 814 or 838 and get off at Songgwangsa Temple or Oseong-ri.